The new TDP-247 series direct thermal label printer offers best-in-class speed and high-resolution capabilities, along with a rugged, reliable design that has become the hallmark of the TSC printer family. The TDP-247 series features two high speed models – the TDP-247 and TDP-345 – both ideally suited for product marking, shipping, retail and other labeling applications. 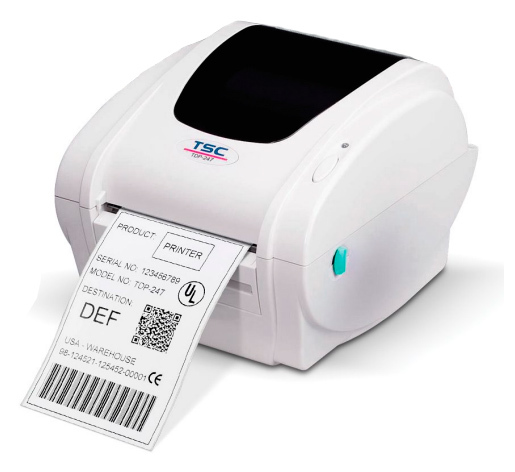 The TDP-247 can print four-inch-wide 203 dpi labels at speeds up to 7 inches per second. The TDP-345 offers high resolution 300 dpi printing at speeds up to 5 inches per second. Both models come standard with USB, parallel and serial connections. 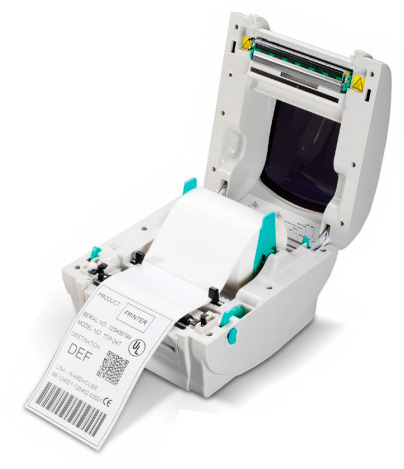 Other options include an internal Ethernet interface for easy network integration, label cutters, and a keyboard for printing labels in stand-alone or down-time situations. Because of their compact design, the TDP-247 series printers are ideally suited for a variety of applications, fitting easily into cramped work spaces that are often too small for larger printers. Both models feature a user-friendly clamshell design that allows users to simply open the cover and drop labels into a center-biased storage bay. Top-of-form sensing by gap, black mark, or notch is standard and completely adjustable from side to side. The TDP-247 series is equipped with a powerful 200 MHz processor, 4 MB of Flash memory, 8 MB SDRAM and an SD memory-expansion slot that increases Flash storage up to 4 GB. Both models support standard industry emulations right out of the box, including Eltron® and Zebra® printer languages.